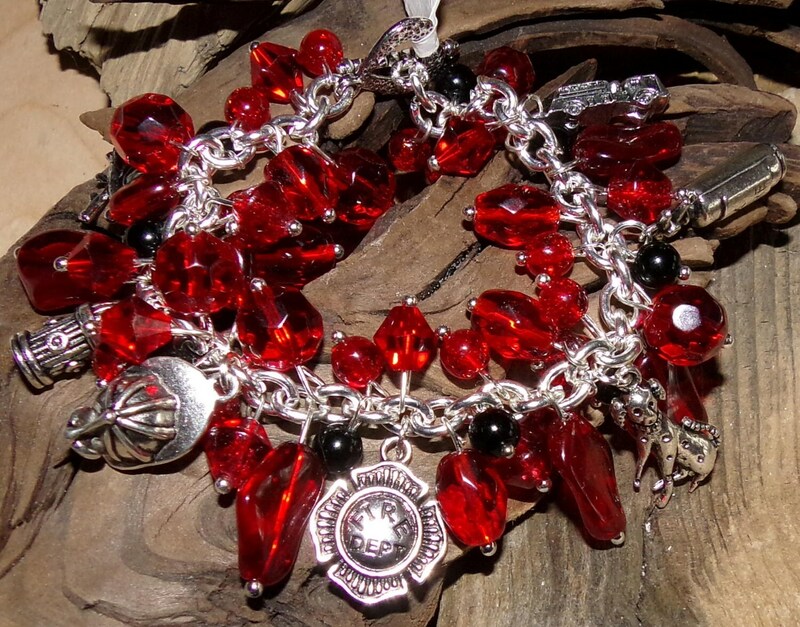 This Bracelet is made with red & black beads with Fire Department Themed Charms. Beads & charms may vary as no two bracelets will be exactly the same. 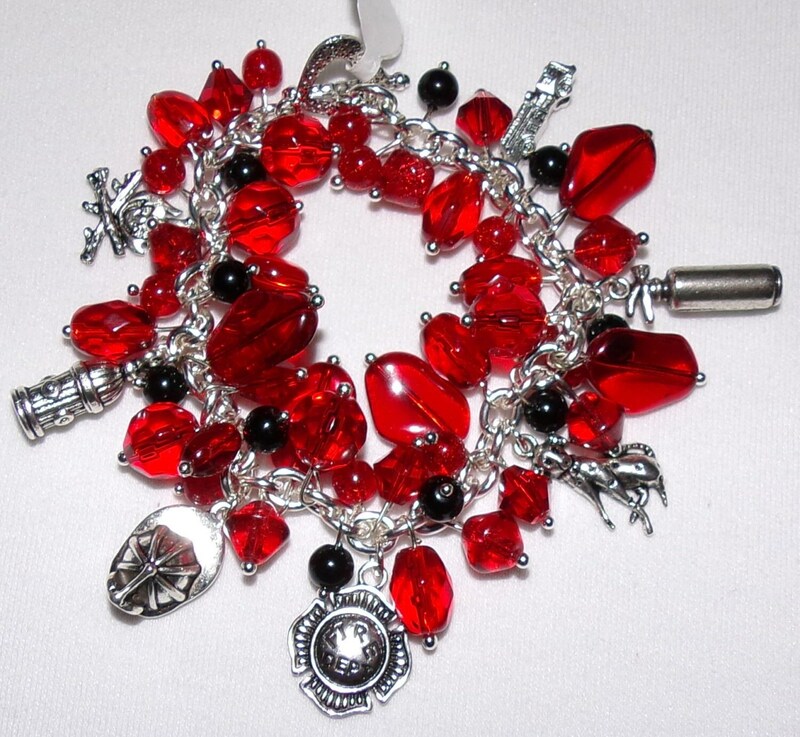 Let me know if you would like to see a picture of your bracelet before I ship it. If you would like to order a Bracelet with different colors or specific charms, just send me a message.